As far as officially licensed DualShock 4s go, this might be the most unusual controller the PS4 has seen yet. However, it won’t be the first of its kind. According to 4Gamer (via Hachima), Japanese peripheral maker Hori is releasing the above PS4 Slime-shaped controller. You hold the controller upside down, revealing the face buttons, d-pad, and thumbsticks. It even has a touchpad. 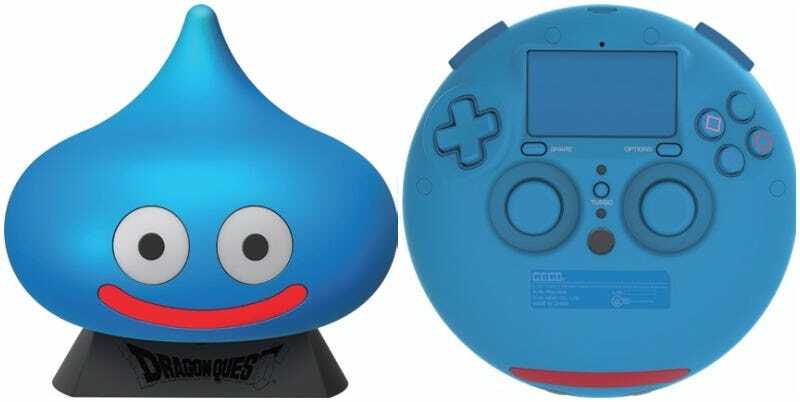 Priced at 9,980 yen ($90), the Dragon Quest Controller for PlayStation 4 will be released in Japan on July 29 when DQXI is released. No word yet on an international release.